25.01.2011 » Cristiano Ronaldo: "I don't have any direct rivalry with Messi"
Cristiano Ronaldo granted an interview to newspaper "La Gazetta dello Sport" and approched several hot topics. He antecipates the match against Barcelona as a very important in what concerns the title decision. In an interview published this tuesday in the italian newspaper "La Gazzeta dello Sport", the portuguese international Cristiano Ronaldo, talked about a few topics related to Barcelona's Lionel Messi, José Mourinho, or the current moment he's going through in Real Madrid. 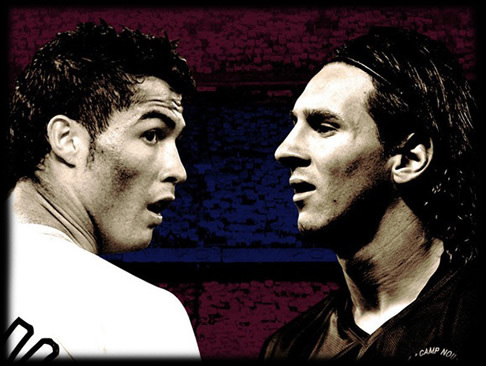 Cristiano Ronaldo was very clear about Barcelona player, Lionel Messi, by noting he doesn't have any sort of obsession with the rivalry the press creates between both. Ronaldo: "I don't have any direct rivalry with Messi. It's exactly the same thing I feel about others. But one thing is for sure: I want to be the best of all." Cristiano still added that if Lionel Messi won the Fifa World Player of the World for 2010 (Balon d'Or), then that's because "he deserved it". When asked about Real Madrid's current moment, Cristiano Ronaldo reckonized that it's been hard to close "point deficit" gap to Barcelona, but, however, he says that the "merengues" just have to pay attention to their own calendar and win all games untill the end of the season. Cristiano Ronaldo outlines the importance of the match against Barcelona for the Spanish league, which will be played in April. Ronaldo: "The game in Camp Nou was usefull as a lesson. Next time we'll be better prepared to play against Barcelona. It was a bad night for us, and I believe that, from the total of 11 players who played that night, at least 8 performed under their usual standards." To finish the interview, Cristiano Ronaldo talked as well about his coach, José Mourinho, which he doesn't classifies as a dictator, but rather as "an open person", who listens and always defends his players. Cristiano Ronaldo added: "The only thing I can say Is that I would be happy if I could have him as my coach forever, untill I end my career. I hope he stays in Real Madrid for many years. I identify with him and I found that we have a lot in common. I'm truly happy to work with such and ambitious person."